CANCER (June 21 – July 22): Planning on partying three nights in a row this weekend? Don’t. You’ll feel gross and dead, and your body will retaliate in the worst of ways. LEO (July 23 – Aug. 22): Now is the time to question any shady friendships. Seriously, if you’ve done nothing but texted someone and dealt with their last-minute cancellations for the last three months, you’ve been missing a lot of red flags. 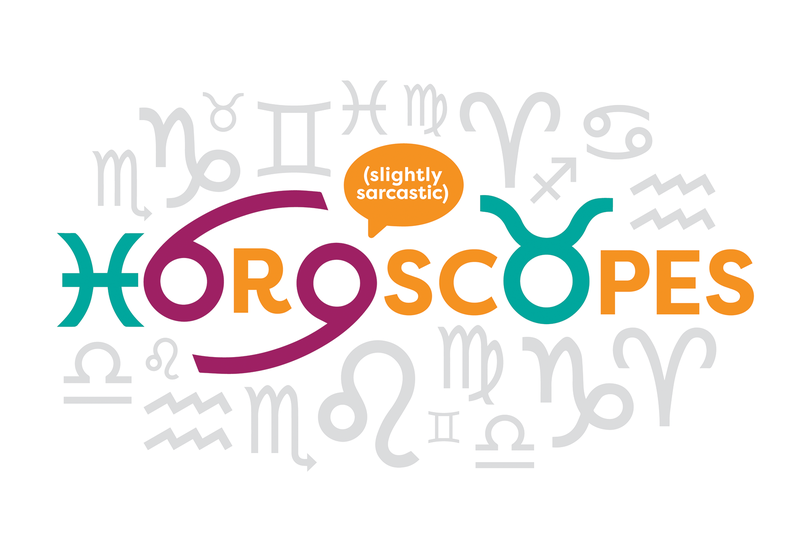 VIRGO (Aug. 23 – Sept. 22): You need a friend right now, and it’s sort of too bad that all of your current ones are jerks. Looks like it’s time to branch out. But not too much! Stay choosy. LIBRA (Sept. 23 – Oct. 22): You’ve been thinking about taking a new life path lately, and that’s great. You could be on your way to something good for your soul. Just don’t let your commitment issues screw this one up for you, OK? SCORPIO (Oct. 23 – Nov. 21): It’s time to trade in your know-it-all cap for some acceptance of the fact that you’re human, which means you’re most likely wrong at least 67 percent of the time. SAGITTARIUS (Nov. 22 – Dec. 21): You have some major boundary issues. Not only do you have a knack for invading people’s bubbles, but you also tend to pop them, which literally no one appreciates. Chill. CAPRICORN (Dec. 22 – Jan. 19): This weekend would be a good one to binge-watch the new show you’re obsessed with and emerge only to microwave yet another bag of pizza rolls, because you won’t feel like dealing with the world (and frankly, honey, the world doesn’t feel like dealing with you). AQUARIUS (Jan. 20 – Feb. 18): Your optimism is inspiring, really. Considering your natural vibe is cynical AF, people are finding your odd and sudden attitude change to be a lovely thing. What a time to be alive. PISCES (Feb. 19 – March 20): Pay attention to the meaning of your dreams. If you’ve been dreaming that your cat ran away, it’s because your cat is planning to run away. Hardly anything is a metaphor anymore. ARIES (March 21 – April 19): Your babysitting career has gone down the drain, but never fear — there are open jobs everywhere you look. You just have to get off your couch and look. TAURUS (April 20 – May 20): Quit cutting people off. It makes for both a lonely life and it’s just a really dangerous driving habit. GEMINI (May 21 – June 20): You need a new hobby. The stars suggest something aggressive, like rugby or beauty pageants — anything that will allow you to constructively channel the borderline-hostile angst you’ve been harboring.